The list is endless. As a result, the recruitment industry has been understandably resistant to guaranteeing their placements for any more than a nominal 30, 60, or 90 days. the policy term, we will promptly replace them at no charge! 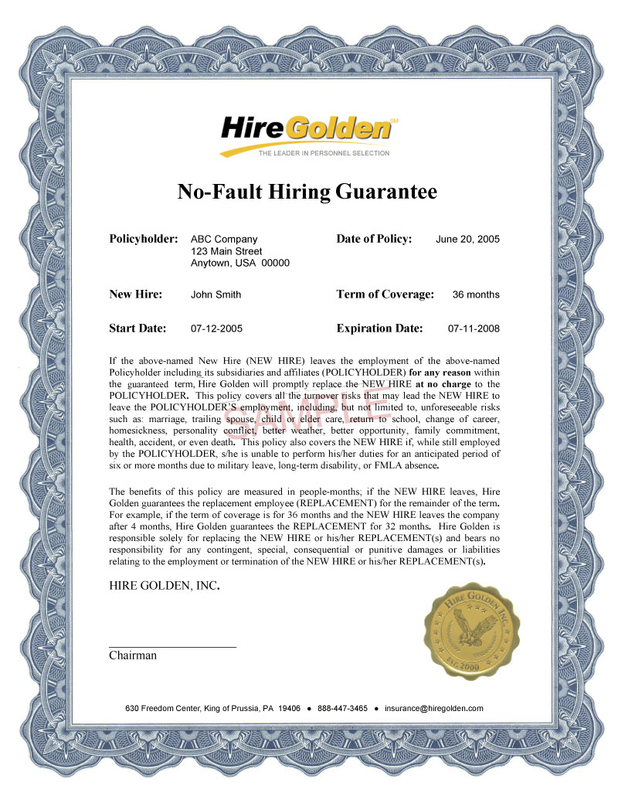 See our No-Fault Hiring Guarantee below. To guarantee a new hire, all you need to do is send the individual's résumé, job description, and compensation (salary or first year target earnings) along with a non-refundable $150 application fee. We evaluate the individual's hiring risk using our proprietary selection technology. 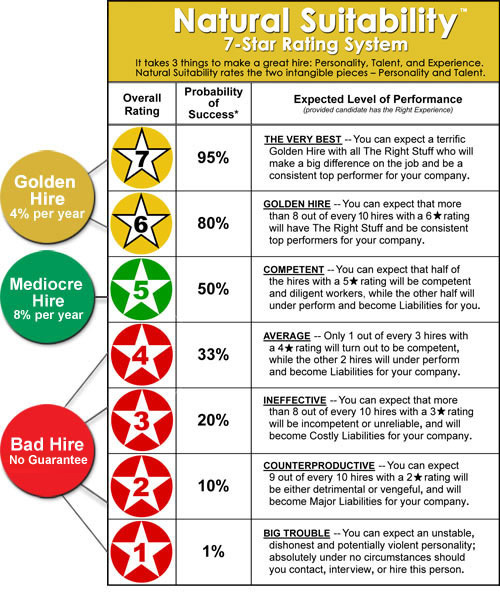 If we rate the individual a Golden Hire — a 6 or 7-star rating on our 7-Star Rating System (see below) — we will underwrite the new hire for just 4% of his or her starting salary (or on-target earnings) for each year of coverage. If we rate the individual a Mediocre Hire — a 5-star rating — we will advise you against making the hire, but will still guarantee the individual for 8% per year of coverage. If we rate the individual a Bad Hire — a 1, 2, 3, or 4-star rating — we will strongly advise you against making the hire and will decline to underwrite the individual. ($50,000 x 4% x 1 year).